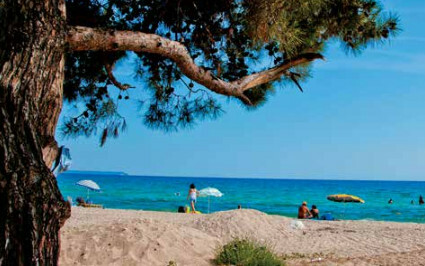 We welcome you to the secret paradise of Greece, the enchanting Chalkidiki with its award-winning golden sandy beaches. Hotel Melissanthi, enjoys a privileged location, between the blue sea of ​​Chalkidiki and the beautiful city of Thessaloniki. An ideal strategic vacation base for every type of traveler. 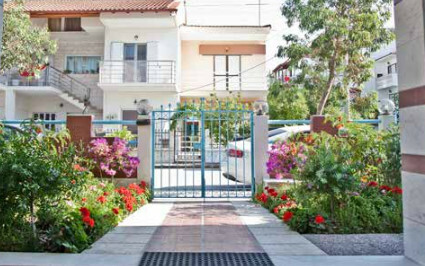 Just 150 meters from ​​Dionysiou beach and 2.5 km from Nea Moudania, Hotel Melissanthi is considered an ideal destination for family vacations by the sea, but also for intense company moments for all those who wish to spend their holidays on the move. With Hotel Melissanthi as your base, the changes in images and summer experiences have no end, since you will be able to explore the rare beauty not only in Halkidiki but of Thessaloniki as well without having to spend the night somewhere else due to distances. 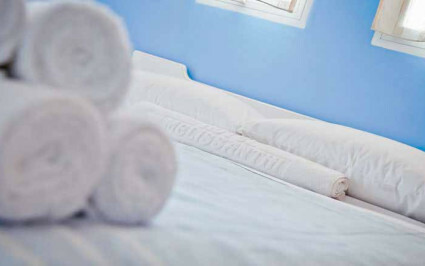 Enjoy a unique combination of warm Greek hospitality and high European standard stay and feel like home. Start your day at Hotel Melissanthi, with a delicious, healthy breakfast, consisting of traditional Greek products, carefully selected from local producers.